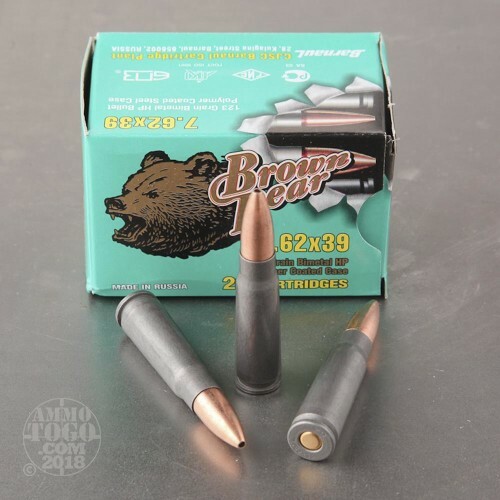 Manufactured by JSC Barnaul Machine Tool Plant in Russia, this Brown Bear ammunition is perfect for the budget-conscious shooter. 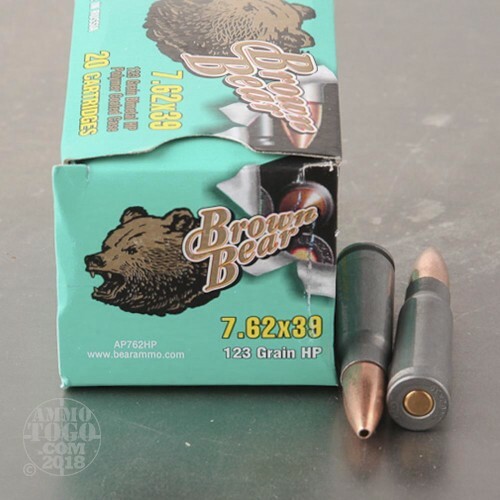 High-quality, precision engineered ammunition, all Brown Bear rounds are loaded to exacting standards normally reserved for military specification ammo. Available at a surprisingly affordable price, these loads are ideal for the high-volume or budget conscious shooter. 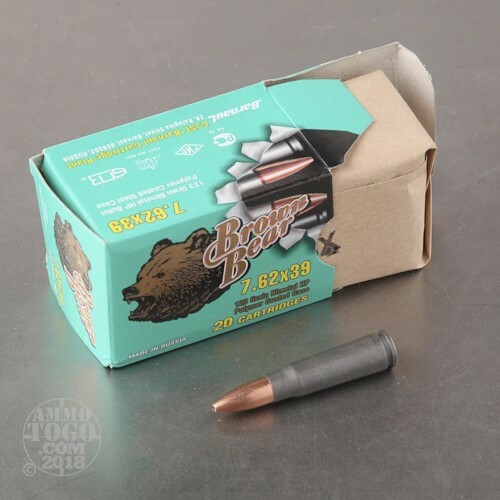 This package contains 500 rounds of Brown Bear 7.62x39 ammunition. Each round is loaded with a 123 grain hollow point projectile. Delivering impressive terminal expansion, these rounds are a great option for hunting medium to large game animals. Each round produces a muzzle velocity of 2404 feet per second. 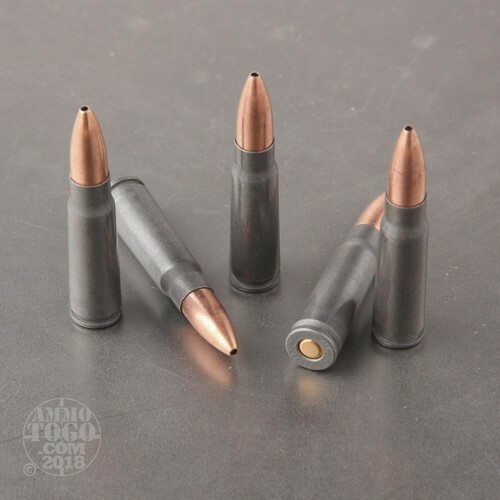 This new production ammunition features a polymer coated steel case, and is 100 percent non-corrosive. The polymer coating results in smoother feeding, function, and extraction. Additionally, polymer coated ammo is both lighter and more waterproof. The primer is sealed for extra moisture protection, making these cartridges perfect for long-term storage. This is some consistent ammo. It performs very well at the range and gives decent groups out of a Saiga 7.63x39 Sporter. I haven't noticed any build up from the polymer coating like I do in my AR. No problems with the ammo after 500 rounds. I'll be getting more. When are the SPAM cans coming back? I have found the accuracy is great no ftf or feeding issues, great ammo, am going to buy more. I've shot a considerable amount of this ammo through several AK 47's I own, Saiga AK's and Several SKS I own... I've had no problem with it. Feeds well, accurate consistency and has enough stopping power to drop a good size deer. Highly recommend.